Last comment was posted 1 minute ago. From there, I discovered simple, but exciting new things. For example, gin was actually good in things other than a Long Island Iced Tea and whiskey was aggressively delicious. And as I’m sure any cocktail geek would say, the adventures that followed involved the unwavering desire to research and acquire every possible spirit, bitter, and syrup on the planet. Though at the end of the day, there is always Tecate or Old German in a can. 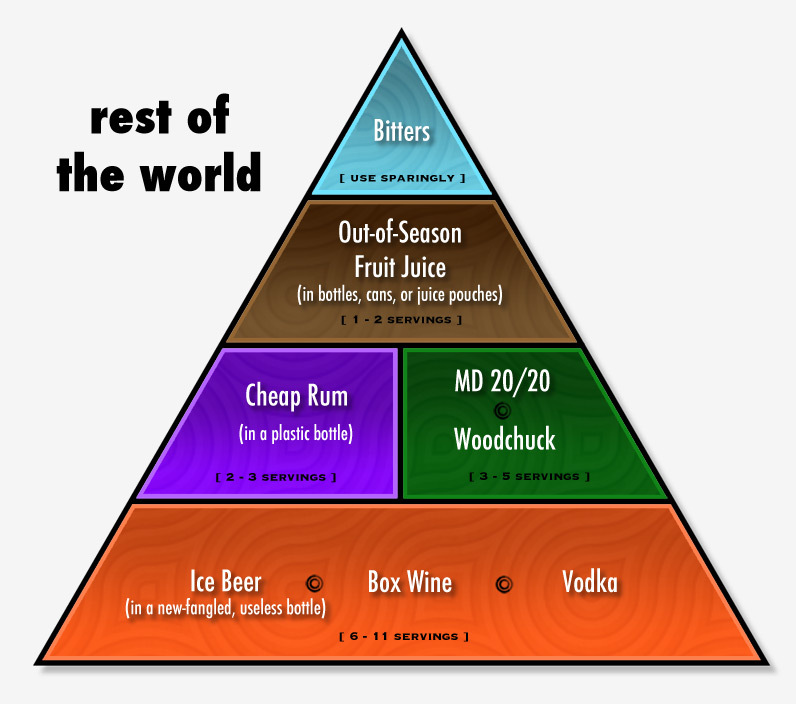 What does your Drink Pyramid look like? 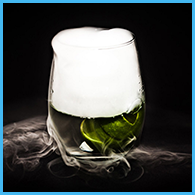 Missing from the bottom level of the Geek pyramid is Smith & Cross – let’s be honest, cocktail geeks drink that like water. 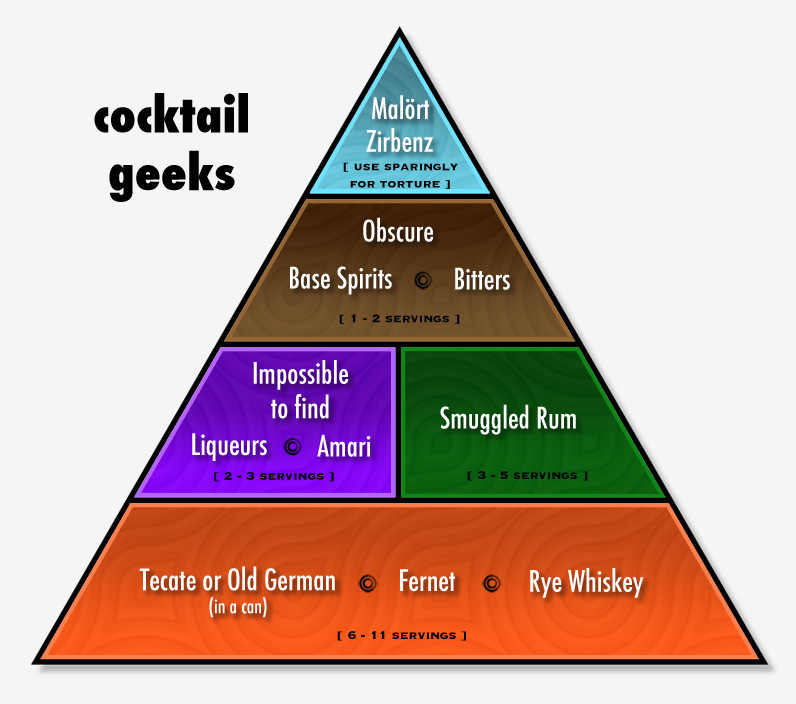 More than even s&c: the geek pyramid needs mezcal. My base is micro-brewed beer, rum and no Fernet. Along with Darcy, I would sub craft beer for Tecate or Old German. Dale’s Pale comes in cans for that “I don’t think I should be trusted with glass right now” safety net. Micro brewed beer – yes! rum and more rum and S&C like water, liqueurs and amaros and yes it needs mezcal. Craft beer at the base for me as well . . . and craft beer still extending to share the pinnacle with many of the other wonderful discoveries of the last five or so years of personal cocktail exploration and discovery. Demerara, Martinique, and Jamaican pot still rum are currently fighting it out in a steel cage deathmatch for supremacy at the top of my pyramid, but for now I am willing to call it a three-way tie. Ladies and Gents, I give you, “the English Mojito”. Mine is just a pyramid of gin. I will wait until Dr Bamboo has posted his pyramid, then I’ll get back to you. 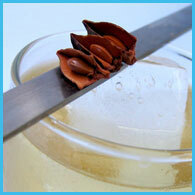 most definitely sub in craft beer for the fernet – preferably a chocolate porter or pear lambic. Actually, if you look at search terms reaeltd to tequila, the most popular search terms are tila tequila and tila. Someone needs to develop a filter that can distinguish between tequila the spirit and Tequila the MTV shock personality.